Since October is Breast Cancer Awareness Month, it's the perfect time to talk about checking your pets for lumps and bumps. Pets can get mammary tumors and it's important for pet parents to know how to identify lumps and bumps and what to do should they find one. Breast Cancer is a topic I'm unfortunately all too familiar with. Several years ago, we found a lump on my family cat's belly area. It was a very aggressive mammary tumor. It started out small, but grew over the course of a few months and became very angry looking and ulcerated with time. Kitty Kitty Meow Meow had to be euthanized due to her cancer almost a year later. My mother was also diagnosed with Breast Cancer which took her life in December 2014. I hope that humans will think of Breast Cancer Awareness Month and take the time to be screened for Breast Cancer themselves, as well as check their pets. 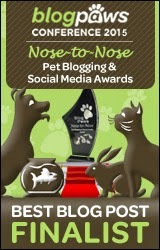 Because this is a pet blog, I'd like to share with you how to check your pets for lumps and bumps. Checking your pets regularly is important and can save their life. 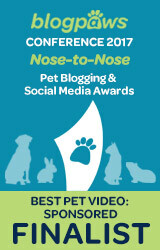 Learn how to be "in the know" when it comes to your pet's body. There are certainly more types of cancer than just mammary tumors, so it's important to check your pets all over for any unusual lumps, bumps, masses, and growths. There are no mammograms for pets, but it's still easy to check your pets for tumors at home. At least once a month, give your pet an exam. It's relatively easy and all you need to do is feel around their entire body for any new growths. Run your fingers through their hair and check them out all over. Be sure to mark your calendar so that you know when to do your monthly at-home cancer screening! What should you do if you find something? 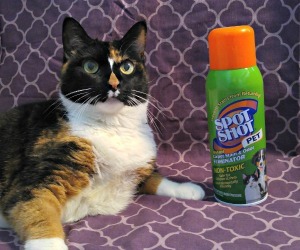 Of course, you should schedule an appointment with your vet to have the bump checked out. At your appointment, your veterinarian can aspirate the lump to get a better idea of what it might be. This procedure is simple. The veterinarian will poke the lump with a needle and draw out some cells to look at under the microscope. From there, your vet can advise you on what steps you should take next. Surgery may or may not be recommended. Fortunately, many of the lumps and bumps commonly found on pets are benign and not a cause for concern. If your vet is concerned that the growth is a cancerous tumor, they will likely recommend that it be removed surgically and sent out to a pathologist. A pathologist will be able to tell if the veterinarian removed all the cancerous parts of the tumor from the body, as well as give more details about what type of cancer the growth is. Don't forget to check the inside of your pet's mouth too. While this task may be difficult in some cases, animals can get growths in their oral cavity. If your pet won't allow you to look inside of their mouth, watch for other signs like not wanting to eat or bad breath. 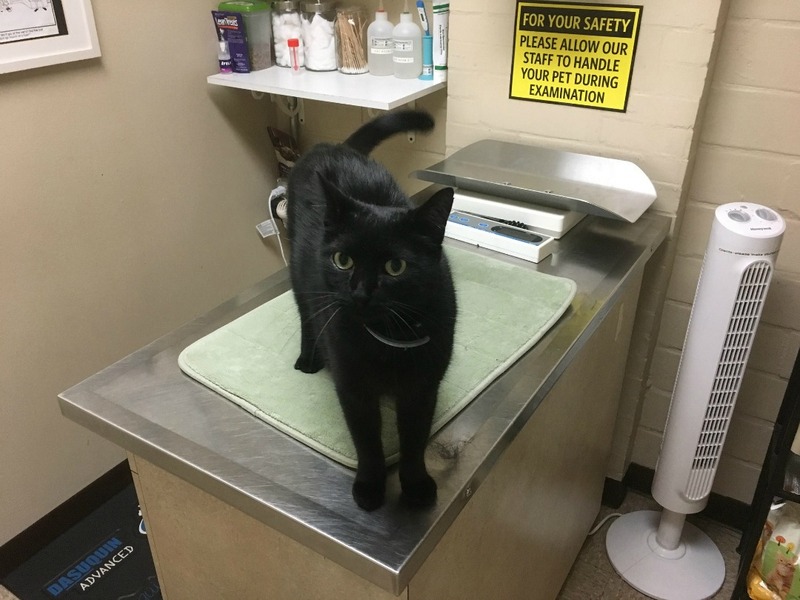 Taking your pet to see the veterinarian for an annual check-up is a good way to catch any lumps or bumps that you may have missed in your monthly at-home exams. This is one of the many reasons why veterinarians recommend annual check-ups. 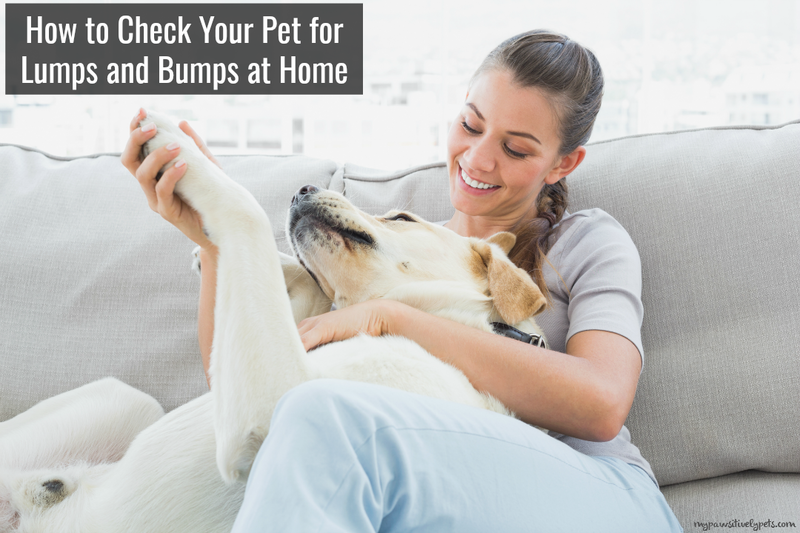 Do you check your pets regularly for lumps and bumps at home? Tell us in the comments! Excellent post, I do check for lumps and bumps. I have found very small mast cell tumors twice. Thank you for sharing the post! It's very helpful for me. Gonna check it with my cat. Mom says we all do our monthly exam. The only thing is Mom does her own and she does ours for us. When she helped out her vet friend they operated on a dog with breast cancer. That is where she learned about it Dogs spayed young don't have much risk, but others do.